SKU: BD70891. Categories: Biography, Childrens, Juvenile Nonfiction. Tags: baseball, hitter, Latin American, New York Dodgers, Roberto Clemente. 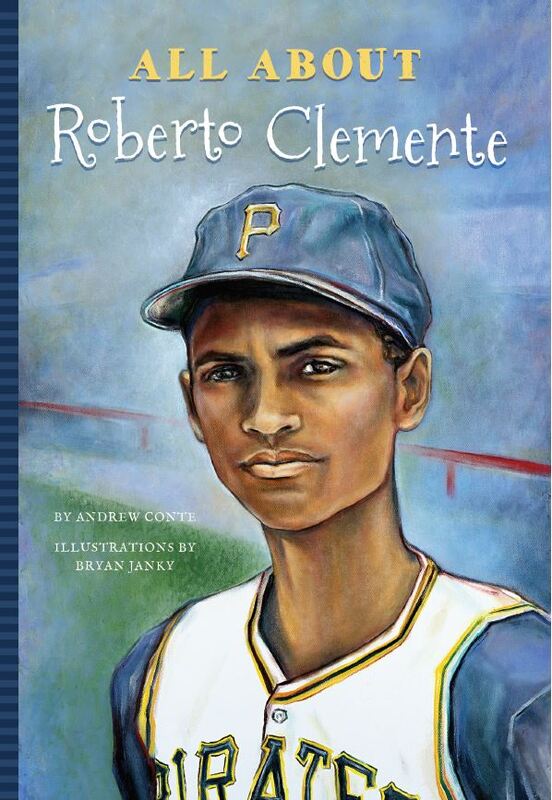 In All About Roberto Clemente readers ages 9 – 13 years will learn about Roberto Clemente. The New York Dodgers drafted Roberto Clemente to play baseball for them from Puerto Rico where the only language that he knew was Spanish. He was only eighteen years old. At first, fans laughed at his Spanish accent; some even disliked him for the color of his skin. Roberto, however, became one of baseball’s most popular players and greatest hitters while he played for the Pittsburgh Pirates. Even though Roberto Clemente could not speak English and was dark skinned, he proved himself to be a great ball player simply by the way he played the game. He worked very hard to learn English and soon became a baseball icon because of his talent and compassion, and how he overcame prejudices. Because of Roberto Clemente’s success, baseball team owners were willing to draft players from Latin America. He was the first Latin American player to have 3,000 hits and his legacy of kindness and record breaking continues to inspire players. All About Roberto Clemente is illustrated throughout. It is a great read and learning tool for children in grades 4th through 8th. Andrew Conte is the founding director of the Center for Media Innovation at Park University. He has worked as an investigative reporter for the Pittsburgh Tribune-Review, and has won multiple national and statewide awards for his work. The Pennsylvania Society of Professional Journalists has recognized Andrew three times with the Spotlight Award, its annual prize for investigative reporting, and the Press Club of Western Pennsylvania has given him its annual top reporting prize four times. He is the author of the best-selling book Breakway: The Inside Story of the Pittsburgh Penguins’ Rebirth and the Silver Benjamin Franklin Award-winning book, The Color of Sundays. Andrew is a graduate of Dickinson College and Columbia University’s Graduate School of Journalism. He lives near Pittsburgh. Bryan Janky is the illustrator for All About Roberto Clemente. He attended college at the American Academy of Art in Chicago, where he obtained a degree in illustration. Bryan has always focused his skills and efforts towards becoming a children’s book illustrator. Aside from illustrating, Bryan draws caricature portraits and designs customized resumes.